Students and teachers from every country in the world have visited ‘All Things Grammar’ and ‘All Things Topics’. 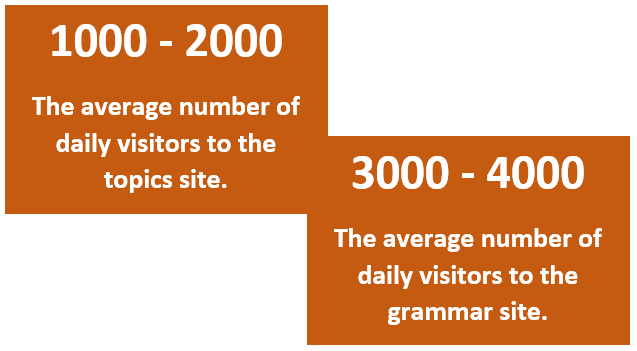 The sites are most popular in the USA. ​Here is a list of the 15 countries where the sites are most popular. You might come across the name "Thomas" in several of the worksheet exercises "Thomas" is the name of my eight-year-old son. His voice also appears in several of the idiom pages voice recordings (done when he was just six).